Update March 2016: TDM 1 (2016) Special on Comprehensive Economic and Trade Agreement between the European Union and Canada (CETA) published. Herfried Wöss, Fabien Gélinas, Andrea Bjorklund, and John Gaffney will be editing a TDM Special Issue on the Comprehensive Economic and Trade Agreement between the European Union and Canada (CETA). CETA is one of the three landmark agreements – the others are the Trans-Pacific Partnership Agreement (TPP) and the Transatlantic Trade and Investment Partnership (TTIP) – that will shape world trade and investment in the XXI century. Negotiations were launched in 2009 and a political agreement between the EU and Canada was reached on the key elements of CETA on October 18, 2013. The signing of the agreement took place in Ottawa at end of September 2014. 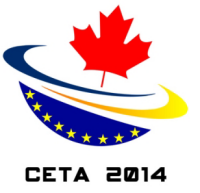 CETA is characterized by the further codification of international standards of investment protection by the contracting parties, and the introduction of new topics in international trade in goods and services, such as the efforts to remove regulatory divergence, which has been considered as the most prominent obstacle to trade and which should considerably increase economic growth for the citizens of both parties. This objective is to be achieved through Regulatory Cooperation and the establishment of a Regulatory Co-operation Forum. the definition of acts de jure imperii, and CETA's detailed language on what constitutes indirect expropriation. Also of interest are CETA reaffirmation of the right of the EU and Canada to regulate to pursue legitimate public policy objectives such as the protection of health, safety, or the environment and a number of procedural changes designed notably to respond to criticisms levelled at investment treaties over the past decade.